Career-connected learning opportunities for Douglas County youth got a huge boost in November with the announcement of a Meyer Memorial Trust grant of nearly $250,000 to Umpqua Community College, in partnership with Douglas County Partners for Student Success. The grant was one of 193 awards totaling $22.7 million given to nonprofit groups as part of the trust’s 2017 Annual Funding Opportunity. The UCC/DCPSS grant was made through Meyer’s Equitable Education portfolio. 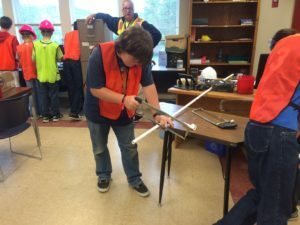 The award announcement describes it as a grant intended to fund “a continuum of career preparation experiences to align priority youth in Douglas County with employer needs.” The grant is tied to a two-year cycle from Jan. 2018 through Dec. 2019. Community forums for business/industry and educators to meet and create a shared system to deliver career experiences. 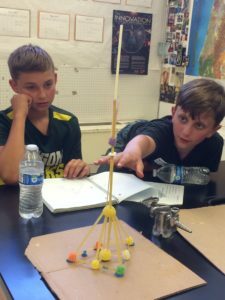 Several of the projects targeted for grant money are already underway, such as the Expanding Horizons STEAM summer camps, preparing for a third year next summer in county schools. In addition, new opportunities are planned in the expansion of developing career awareness for children and teens. Soderberg-Chase said several school districts and local agencies have pioneered models for career preparation, and DCPSS will build off of those models. Initial partners include the following: The Partnership for Economic Development, Umpqua Training & Employment, Area Health Education Center of Southwest Oregon, the Boys & Girls Clubs of the Umpqua Valley, the Douglas Education Service District, and UCC. Currently partnering school districts are Roseburg, South Umpqua, Days Creek, Camas Valley and Oakland, along with Phoenix Charter School. For the road ahead, Soderberg-Chase said career-connected learning activities will be made available to all school districts and youth-serving organizations across the county.